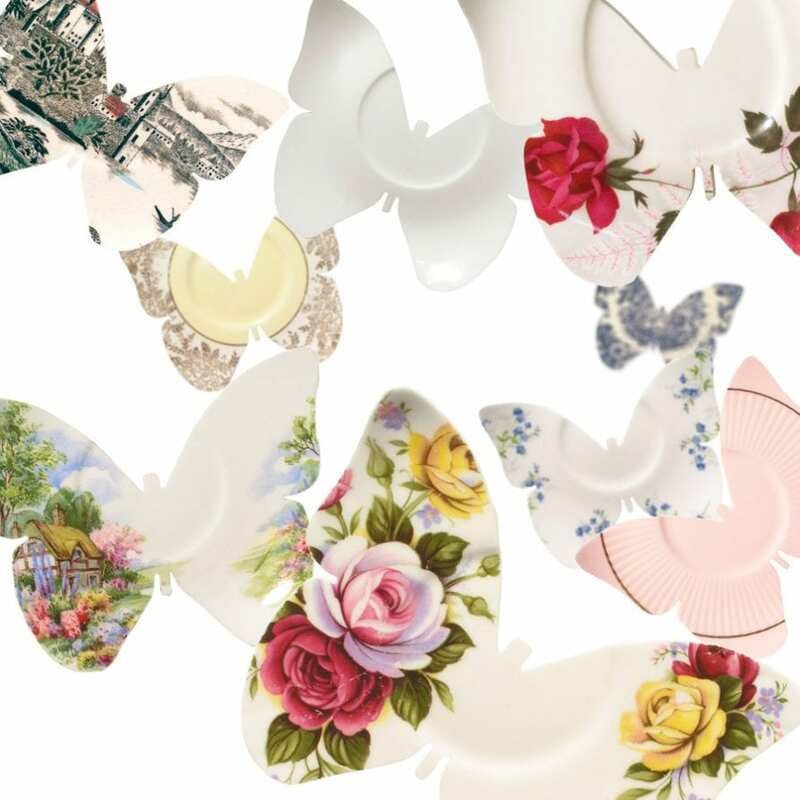 Lightly’s collector edition of china butterflies cut from reclaimed fine bone china plates. 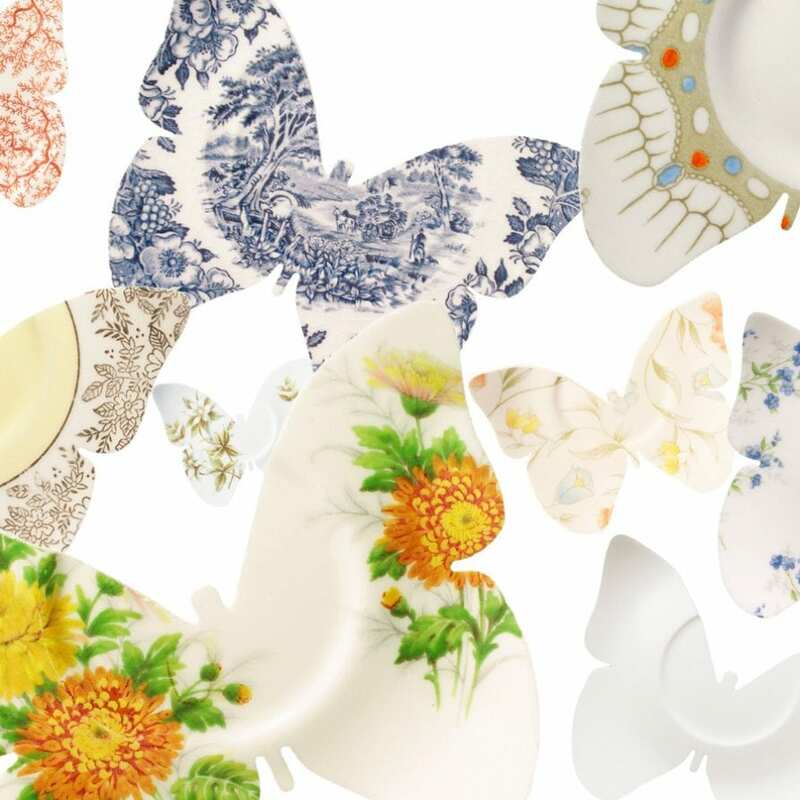 Plates are generally mixed floral saucers – Dalton, Willow, Johnson Bros, Royal Vale. Specific patterns can not be ordered but make a request on check out notes. 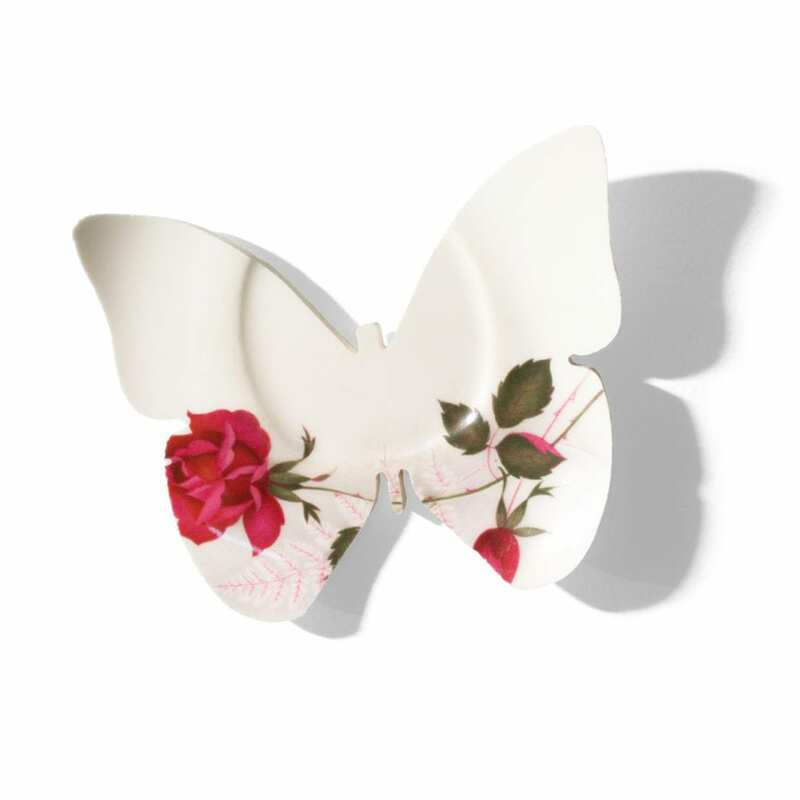 Designed 2008. Orange Floral, Pink Floral, Yellow Floral, mixed floral, Blue floral.